Serviced Apartments in Wick, ideal for people coming to the area on work projects. All durations of stay in quality apartments believed to be the best in the north... Owner oversees apartments so you can be assured of an enjoyable effortless stay while working in Wick as all you need do is arrive and enjoy your Wick home. 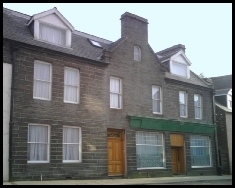 Serviced Apartments in Wick, ideal for people coming to the area on work projects. Owner oversees apartments so you can be assured of an enjoyable effortless stay while working in Wick as all you need do is arrive and enjoy your Wick home.